William Robert Tate - known as Will to his friends and acquaintances - died on May 19, 2013, in Jackson, MS, and his remains were interred at the Columbarium at St. Andrew's Episcopal Cathedral where he had been a communicant for many years. Born to Clifton and Rachel Tate in Jackson, he graduated from Central High School and earned a B. Mus. (organ) from Baylor University in 1955, studying with organist Robert Markham, and then, studying with Marilyn Mason at the University of Michigan, went on to earn a M. Mus. in organ performance in 1959. 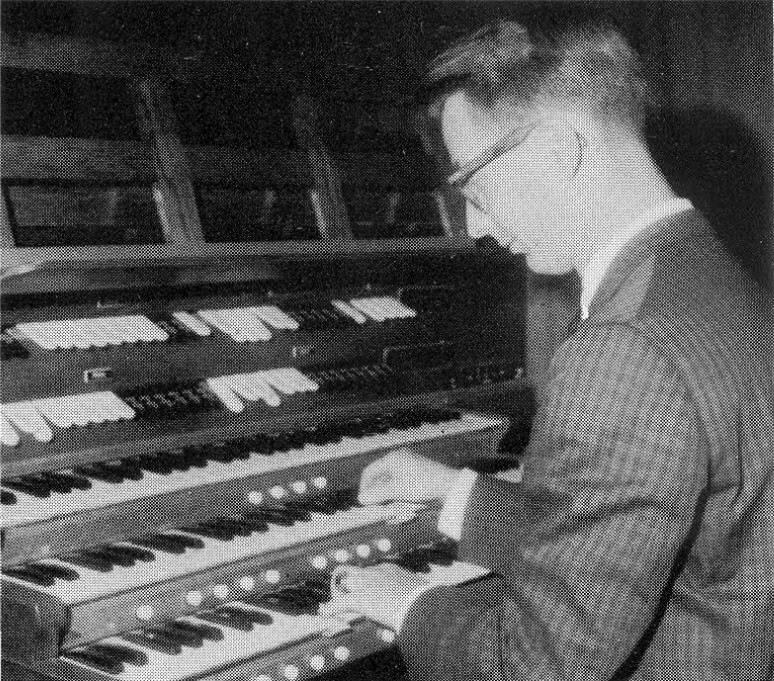 Shortly afterwards he began teaching organ at East Texas Baptist University in Marshall, Texas, where he also was organist and choirmaster at Trinity Episcopal Church. In 1963 he returned to Jackson and taught organ at Belhaven College (now University) from 1964 to 1968, and by 1970 had taken a position as organist and choirmaster at St. Columb's Episcopal Church (affectionately known as "St. Columb's-by-the-Zoo") where he remained until the mid-1990s. He became an organist-at-large in the 1998 American Guild of Organists' substitute list, and continued playing until a year before he died. During much of this time he worked at his father's typesetting business and later in the publicity department of McRae's Fine Jewelry, and used his skill as a typesetter to insure that all programs for the Jackson Chapter of the AGO were elegantly formatted and printed. Will's commitment to the AGO was legendary - he had several terms as Chapter Dean, and he was the General Chairman of the AGO Region IV Convention held in Jackson in 1971, slowing down a bit during the next three decades but still serving as the Publicity Chairman for the Region IV Convention in 2001. During the 1970s he also edited a newsletter - The Trompette en Chamade - for the Jackson Chapter, and continued to use his typesetting skills to great effect. Although we all knew Will was an accomplished organist, the extent of his musicianship became clearer when, in 2012, he donated his collection of organ music to the Jackson Chapter for a music swap - and we then had concrete proof of his wide-ranging interests - Bach and before - French music - 20th century music - and all points in between - a truly eclectic collection. He was a long time member of Alcoholics Anonymous and treasured those relationships greatly. Finally, he is sorely missed as a friend, colleague, and beloved and unique individual.